Shiv Corporates Is A Real Estate Company Which Deals In All Types Of Residential & Commercial Properties. Shiv Corporates can be a little overwhelming. Finding a Shiv Corporates realtor that will provide you with information, but won't pressure you can be even more overwhelming. We specialize in helping people buy homes or investment property Top Class area. Our goal is help you through the buying process and make it as stress-free as possible. Our style is to give you the information you need to make an educated decision and let you make that decision, no pressure. 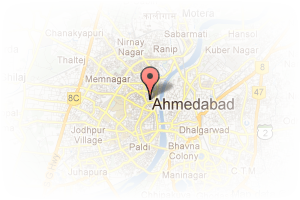 Address: 3rd Floor, Krishna Palace, Maninagar, Ahmedabad, Gujarat, India. 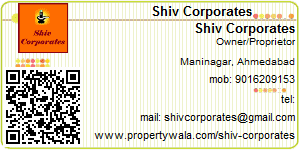 This Broker Profile page for "Shiv Corporates" has been created by PropertyWala.com. "Shiv Corporates" is not endorsed by or affiliated with PropertyWala.com. For questions regarding Broker Profiles on PropertyWala.com please contact us.